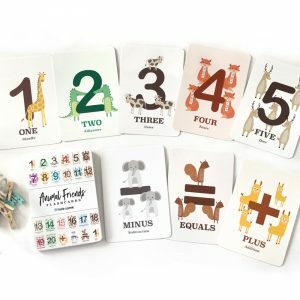 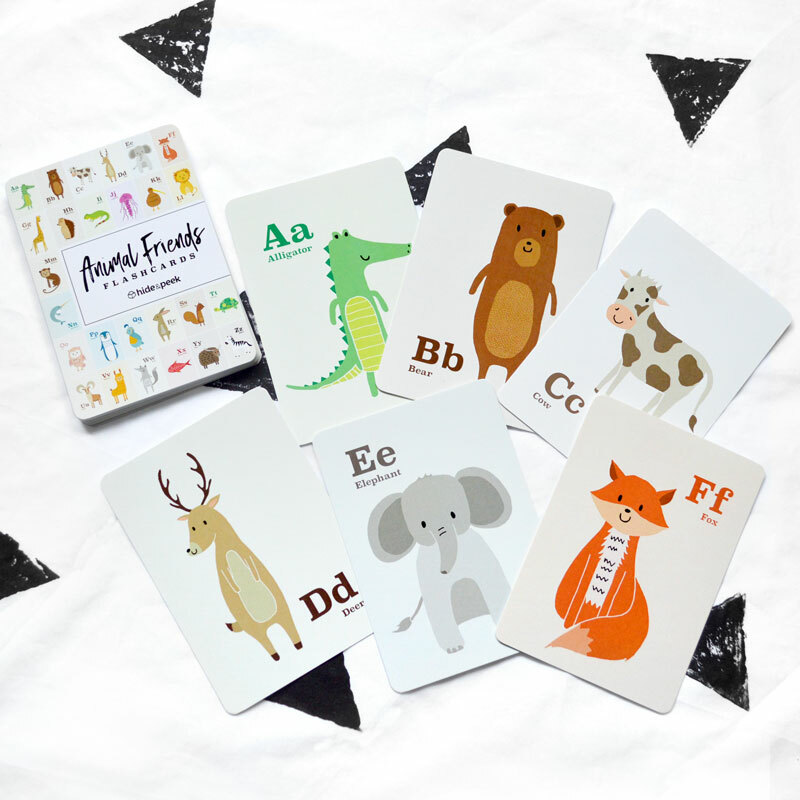 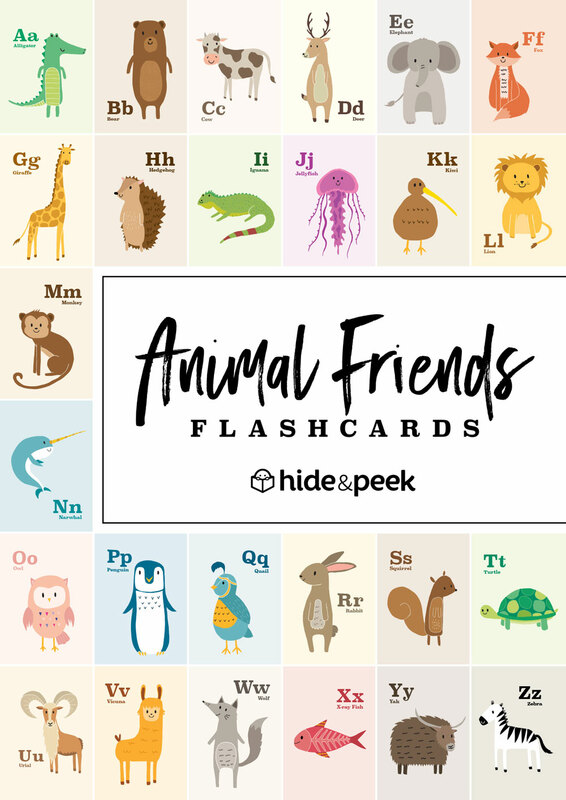 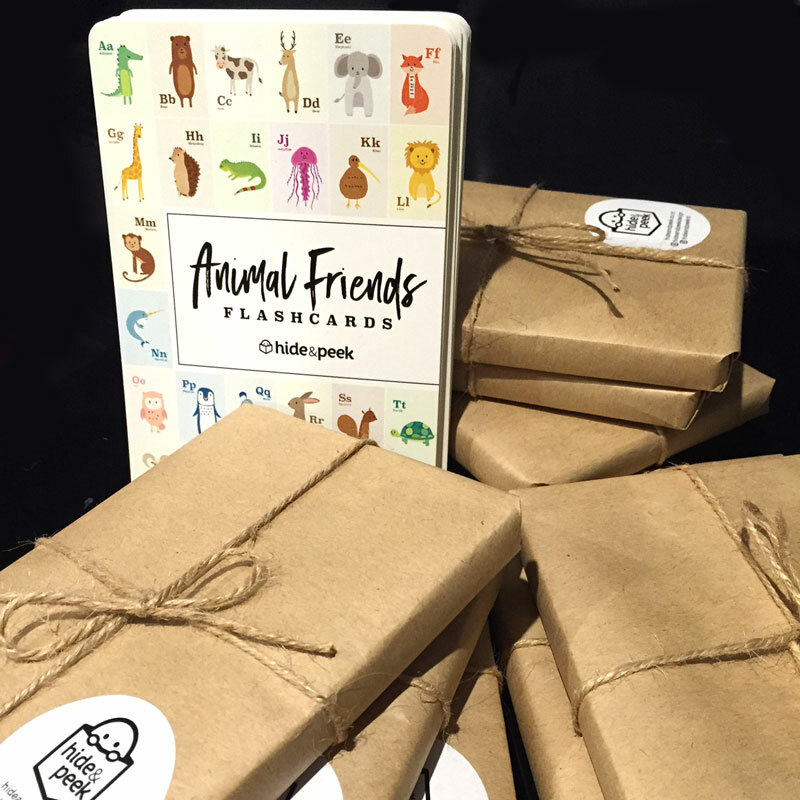 These Alphabet Animal Flashcards are a fun and interactive way for your little one to learn the alphabet! Hang them on your nursery wall, or let them hold them. 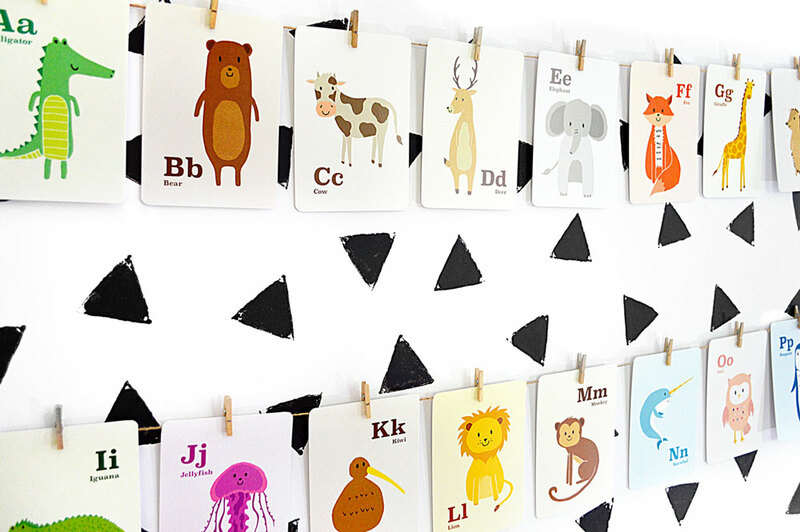 You might recognise them from our original Alphabet Animal Friends print. The pack comes with an eco-friendly drawstring bag.